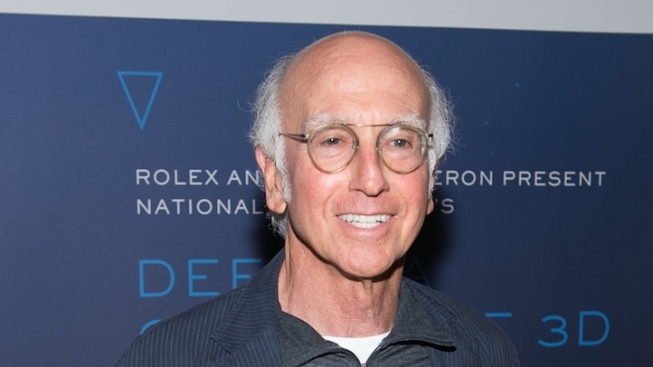 Broadway is next for Larry David, who will star in a self-written play this spring. David broke the news to “The New York Times,” and says his character in the play -- a 15-character ensemble comedy centering on a death in a family -- will share a lot of his own personal traits. “It might even be Larry David with a different name,” he says. Direction will come from Anna D. Shapiro, whose Broadway credits include last season’s revival of “Of Mice and Men,” the hit ensemble drama “August: Osage County” and the Michael Cera-lead “This Is Our Youth,” which begins performances Aug. 18 with a Sept. 11 opening. “Fish in the Dark” will open at a Shubert theater to be announced sometime in March 2015. Fans of “Curb” know that David has dabbled in Broadway before, albeit fictionally. On the acclaimed HBO show’s fourth season, his character landed the lead role in the Mel Brooks’ musical “The Producers” -- and went up on his lines during the opening night performance. David’s character saved the performance by slipping into his stand-up act, so if a similar thing happens in “Fish in the Dark,” at least we know David has a plan.